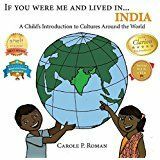 Award winning author Carole P. Roman has written many books for elementary children, including her If You Were Me and Lived In… world culture series. These full-color picture books introduce kids to what it would be like to live in different parts of the world. We had the opportunity check out: If You Were Me and Lived in…India, If You Were Me and Lived in…Poland, and If You Were Me and Lived…on Mars. Yes, that’s right---we learned about what it might be like to be a Martian (or at least a space colonist on Mars). For a fun bonus, we also got to read Oh Susannah: It's in the Bag, a chapter book for young readers. Let’s take a quick look at each of these books. 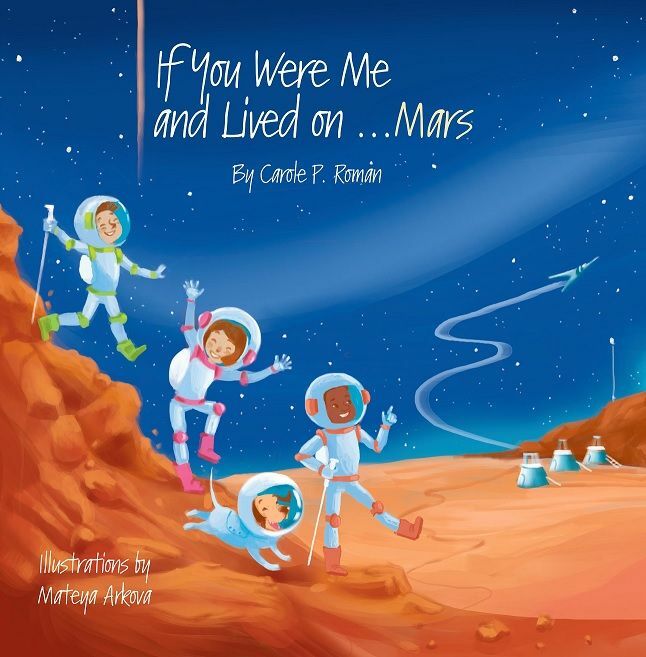 Take a trip around the world (and out of this world) with the If You Were Me and Lived in… series. Your child will be introduced to different cultures, their languages, their dress, their food, and more. Our sponsored child, Rahul, lives in India and my Mom’s grandparents immigrated from Poland, so my 8-year-old daughter, Emma, enjoyed learning about both of these countries. It was also cool to learn what it might be like to live on Mars. These are short picture books with colorful illustrations. They have lots of interesting facts about day-to-day life. I want to share with you what the inside of the books look like so you can get an idea of the reading level. Lots of interesting information. I can see turning this series into a year-long study of world cultures. You can see from the pictures that the amount of text on a page varies pretty widely from page to page. Sometimes it seemed like there should have been more pages with more pictures to help spread out the material---it can be difficult to read a wall of text in a picture book. You can also see that the author has included phonetic guides for pronunciation to help you to read difficult English and foreign words. There is also a glossary at the back of each book. This was very helpful, but I found that sometimes the pronunciation given was “off.” In the Poland book, for example, the pronunciation for “constitution” is given as “con-ste-to-tion.” At first I thought this was a typographical error, but the glossary gives the pronunciation the same way. For reference, here is the pronunciation given by dictionary.com: “kon-sti-too-shuh n”. There are other instances where the pronunciation given for English words may be confusing to children as it doesn’t match up with what you will see in the dictionary. We did find other errors in the books. New Delhi is misspelled on a map at the beginning of the book on India. In the book on Mars, pg. 29 states that “Since the surface of gravity on Mars is only 37 percent of the Earth’s, it alters when you jump into the air; you will go three times higher…” I think the author means the gravity at Mars’ surface is weaker than Earth’s and that its pull is further reduced as you get further away from the surface…but that sentence doesn’t really make sense. There were other instances where the author’s meaning was not clear---I would love to see these edited and revised. You may have also noticed from the pictures that the illustration styles between the Mars book and the other two books are very different (they are illustrated by different artists). We prefer the illustrations in India and Poland. The Mars illustrations look washed out and unfinished. The cover art of Mars is also pixelated, though the interior illustrations are not. Overall, I liked that there was so much information in these short books. We learned a lot. But I’d like to see them edited and revised. We also had the opportunity to read Oh Susannah: It’s in the Bag. 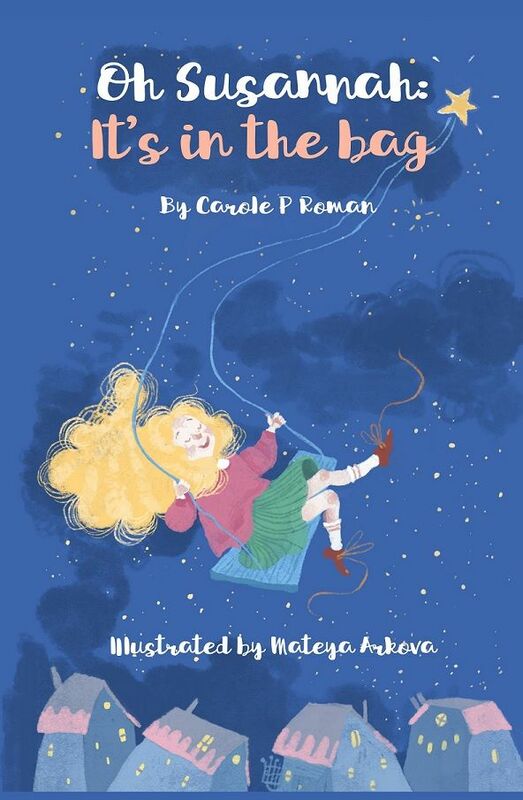 This is a short chapter book about the importance of coming to your parents and asking for help when you are overwhelmed. The main character, Susannah, avoids dealing with issues (uneaten banana, unfinished homework, and so on) by stuffing them into her backpack. As the pack gets heavier and heavier, and more and more stuffed, it becomes a looming obstacle in her mind. There’s a happy ending. Susannah learns to ask for help and her parents learn to not expect her to be more grown-up than she is (she’s in third grade). While it’s a cute idea, we found the message to be a bit heavy-handed. Do kids hide it when they mess up? Yes, they do. But my daughter pointed out that a real kid would probably throw away the banana when she got to school instead of hiding in the bottom of her backpack. We also found errors in this book. In one instance, a character’s sentence ends with a question mark, but it says the character “stated” it. There were other similar issues throughout---I would love to see it edited and revised. Oh Susannah: It's in the Bag can all be purchased on Amazon.